The one makeup product that I reached for on days where I did wear make-up and has fast become my obsession is the Hourglass Ambient Lighting Edit - Surreal Light. I shared my initial thoughts on it here but since then, it has become my new love! I love how healthy and diffused my skin looks when I use this palette - I use everything in the palette, but the highlight is my least used product. The Surreal Light powder is, without doubt, the powder for powder-phobes like myself! I avoided powders for years because they usually don't work on my dry skin but this one makes my base look so much better and I know I will use it up entirely. I just can't rave about this palette enough and I can't believe it's still available so grab it while you can! I wrote about oils that I've been using to combat dry skin on my face and body and dry hair due to the change in season here but I have also been using Sarah Chapman Intense Hydrating Booster as part of my skincare routine, rotating it with Omorovicza Instant Perfection Serum and Dr Botanicals Super Concentrate Radiance Boosting Serum. I will do a review post of the Dr Botanicals Serum soon because I was sent two Dr Botanicals products and they deserve a post to themselves because they are truly wonderful products and my skin just absolutely loves them. The Omorovicza serum also featured in my September favourites but I can't stop using it so I had to mention it again. The Sarah Chapman product is quite pricey at £57 but I bought it from QVC when they had a special offer on, where two bottles were priced at £58. It has a light oil/water texture and it does a fantastic job of adding much needed moisture to my skin. The Omorovicza serum really helps to make my skin very smooth and refines my pores and the Dr Botanicals Serum adds some much needed radiance to my skin as well as soothing and nourishing it. Korres kindly sent me some products this month and I mentioned two of the oils in this post, but I have also been totally addicted to products from the Basil Lemon range: Shower Gel, Body Milk and Body Scrub. I adore the scent because it has the perfect balance of spiciness from the basil and zest from the lemon - they work so well together to make a very invigorating scent, which is a great way to start the day. The body scrub is quite gritty - enough to really polish the skin but without the risk of any scratching or tearing the skin. It leaves my skin feeling silky soft and ready for the next step, which is the body milk. This is a light lotion that absorbs very quickly but it delivers the moisture of a cream or body butter. I love layering the products because it means that the scent lasts longer on my skin and they work well with my favourite Jo Malone Lime, Basil and Mandarin perfume but are a lot more affordable than Jo Malone products. The products are between 87 and 92% natural, are suitable for vegetarians/vegans and are free from mineral oils, silicones, parabens and a variety of other unfavourable ingredients. They have so many beautiful scent combinations: Bergamot Pear, Mint Tea, Vanilla Cinnamon and Almond Cherry to name just a few. They also have some great gift sets at really affordable prices so bear them in mind when doing your Christmas shopping! 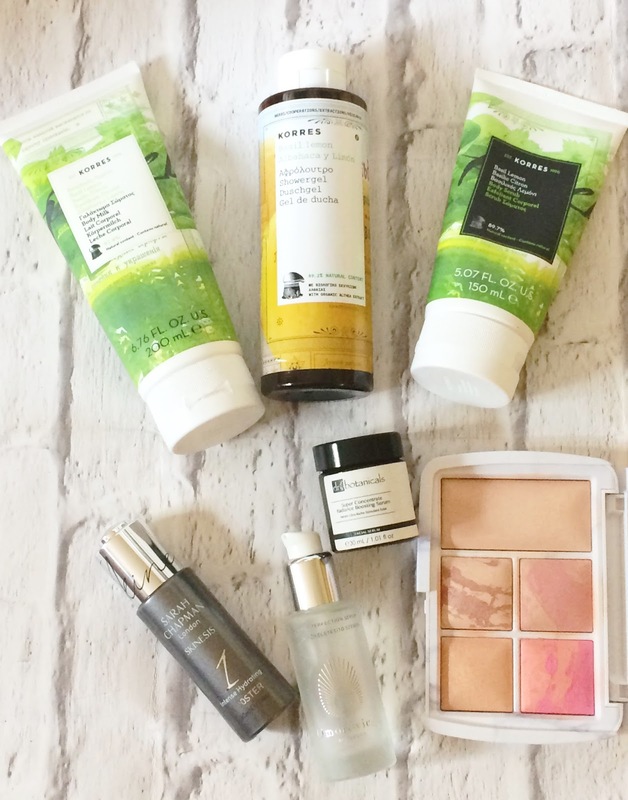 A quite short empties post from me this month, but I have really loved all of these products! Have you tried any of them? What have your favourites been? I would love to hear in the comments below!